Bàn chỉnh màu Eclipse CX Midnight của JLCooper đựợc thiết kế riêng cho hệ thống chỉnh màu Davinci Resolve. 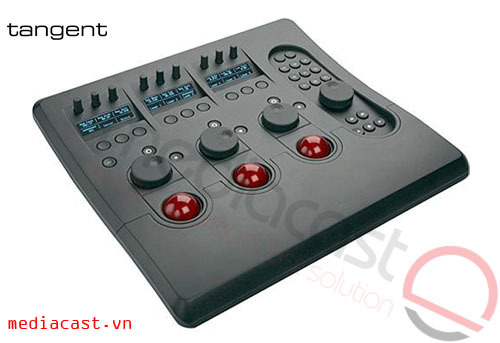 A flexible control surface for color correction and editing, the JL Cooper Eclipse CX Midnight interfaces directly with DaVinci Resolve, Snell Archangel PH.C-HD, and is compatible with virtually any program running under OSX using proprietary software that is a free download from JL Cooper. The Eclipse CX Midnight is an update to the original Eclipse CX, featuring an all black finish with white LEDs to minimize the control panel's impact on your eyes. The control panel is designed to provide tactile controls of the functions in Resolve, obviating the need for mouse control and speeding your workflow. Three translucent trackballs with integrated control rings are familiar tools to colorists, allowing them to make precise adjustments to multiple color channels at the same time. Six high-resolution rotary encoders provide control over a variety of DaVinci's built-in effects, and each of the high-resolution encoders, as well as the trackballs and control rings have their own individual reset buttons. 41-illuminated function keys, 7-edit keys, 3-VF displays options for your monitor provide flexibility to your workflow. The Eclipse's LED timecode display, VCR-style transport buttons with status indicators, and an optically encoded jog/wheel with concentric shuttle ring provide precise tape deck-like control of your digital video. An expander connector allows you to connect other Eclipse control surfaces for more control options when working in software other than Resolve or Archangel PH.C-HD. Downloadable software allows you to control programs other than Resolve, when using the optional Ethernet card; this allows you to control functions of optional programs that run on OSX such as Final Cut Pro X, Iridas Speed Grade, IFX Piranha Cinema HD, and Apple Color. A midnight black finish with white LEDs and indicators minimizes color emissions and strain on the operator's eyes. The Eclipse Midnight CX provides an efficient tactile control surface along with conveniently located controls that facilitates efficient collaboration with video color correction and editing software. 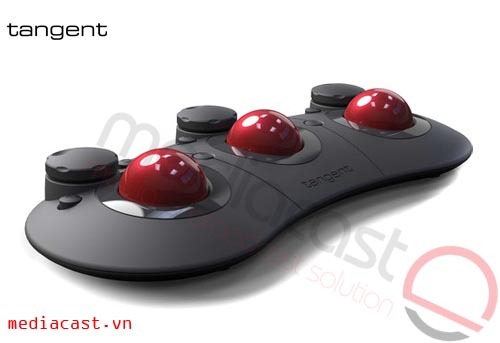 Integrates a complete array of precise, professional quality controls that include 3 transparent, backlit trackball mechanisms that incorporate free-spinning control rings. Direct Support in DaVinci Resolve, interface requires proprietary Ethernet card, not included. Snell Archangel Ph.C HD interface requires proprietary USB card, which is not included. Exhibits wide compatibility with software such as IFX (Piranha Cinema HD), IRIDAS (Speedgrade), and Apple Color, requires the use of proprietary Ethernet card, which is not included. Six high-resolution rotary encoders directly interface with controls in DaVinci Resolve, allowing you to make adjustments on the fly without having to access a menu. The three trackballs, three control rings, and six rotary encoders each feature their own reset button. 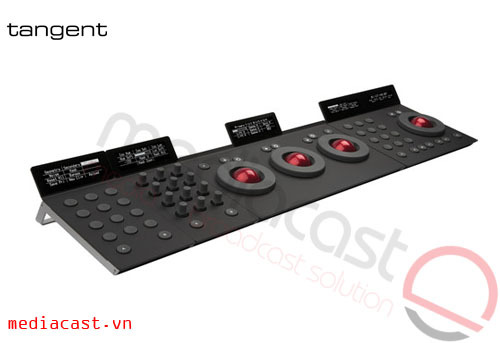 The control surface integrates 41 illuminated function keys, 7 edit keys, 3 VF displays, LED timecode display, professional VCR-type transport buttons with status indicators, and an optically encoded jog/wheel with concentric shuttle ring. A built-in expansion port provides support for other Eclipse modules, not included, providing more controls. Expansion modules are not supported in DaVinci Resolve or Snell Archangel. DaVinci Resolve interfaces directly with the control surface, and does not require additional software for you to control Resolve from the panel. The free downloadable software from JL Cooper that allows you to use the Eclipse Midnight CX with virtually any software that runs on OSX will conflict with Resolve, and must be disabled in order to use Resolve. Box Dimensions (LxWxH) 31.4 x 16.8 x 6.7"